This seems to be a common topic of discussion for many self-defense situations. The search for solution is apparent in many youtube videos from WC to VT to WT. I definitely like the ideas and have trained similarily. In fact, I remember initially learning about the body mechanics of training against a roundhouse punch. Chum kiu step, palm strike or punching with the inside hand, and the outer tan/fook sau as a barricade. The key was to be close and driving the center. Later on, I've also learned about driving into the source of the punch at the shoulders, shocking the opponent's core, etc. But - it's hard to do! Especially with a strong opponent. Also, I've realized that a good roundhouse puncher would not necessarily telegraph that obviously. If in close quarters, with a short turn of the waist and boom, the punch is there! And, sometimes, the force is so great that the arm may just loop around, hinge at the elbow and clip you in the face, with a good amount of force there still. Demos of defense against a telegraphed roundhouse punch are similar to demos of defending against an ugly poorly timed slow spinning back kick. Yawn. It's hard to defend when done the attack is done well. 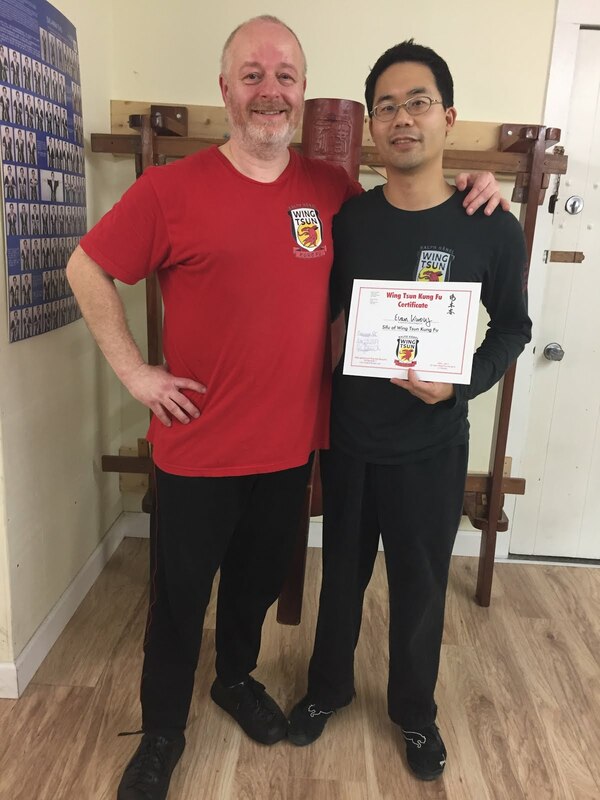 That video reminded me of meeting Sifu Ralph for the first time, when I learned that the classical WT defensive starting position can be too "perfect".